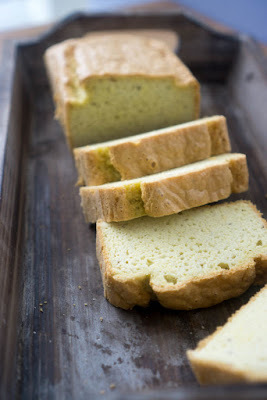 Home » cake » dessert » Our Favorite Keto Bread Recipe After 3 Years on Keto! If you’ve been looking for what is definitively the best keto bread recipe on the internet, then you’ve come to the right place. How do I know it’s the best? Well, I’ve tried just about every keto bread recipe over the past three years and decided that nothing was good enough. There’s a couple that are good, but I wanted perfection! The best part about this recipe is that it’s simple, and once you have it down, you can replicate this keto friendly bread any time you want. I’ve been making a low carb loaf every Sunday for the past few weeks and would recommend that to anyone. It’s so nice to have a loaf of bread at your disposal when you’re on a low carb diet. It almost feels like cheating. Check out this recipe and start making the best keto bread you’ve ever tried today! Separate the egg whites from the yolks. Add Cream of Tartar to the whites and beat until soft peaks are achieved. In a food processor combine the egg yolks, 1/3 of the beaten egg whites, melted butter, almond flour, baking powder and salt (Adding ~6 drops of liquid stevia to the batter can help reduce the mild egg taste). Mix until combined. This will be a lumpy thick dough until the whites are added. Add the remaining 2/3 of the egg whites and gently process until fully incorporated. Be careful not to overmix as this is what gives the bread it's volume! Pour mixture into a buttered 8x4 loaf pan. Bake for 30 minutes. Check with a toothpick to ensure the bread is cooked through. Enjoy! 1 loaf makes 20 slices. 0 Response to "Our Favorite Keto Bread Recipe After 3 Years on Keto!"